Richmond Equestrian Centre is renowned for its efficiently run equestrian competitions, good prizes, tasty food and the Richmond Horse Trials. 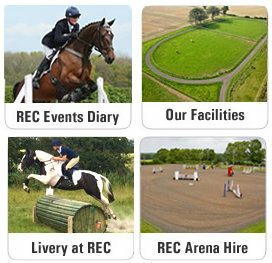 In the spring and summer months we host show jumping and dressage competitions and our Eventing season gets underway. Built in 50 acres, our cross country course hosts two, three day affiliated British Eventing Horse Trials over BE 90, 100, Novice and Intermediate tracks. The Monday following each BE Horse Trial the cross country course is open to the public for cross country schooling from dawn till dusk. We offer both affiliated and unaffiliated show jumping, dressage, show cross and working hunter competitions. We also provide excellent facilities for teaching clinics and lecture demonstrations. We offer DIY, Assisted, Schooling Livery and Pre- Show livery. Liveries have free use of the facilities when available including use of the horse walker and the cross country course when open.